FACT CHECK: Was El Paso One of the 'Most Dangerous Cities' in U.S. Before a Border Fence Was Built? What did make a difference was a flood of Border Patrol agents, who began Operation Hold the Line in 1993. El Paso was one of the U.S. most dangerous cities before a border fence was built there. On 5 February 2019, President Donald Trump delivered the annual State of the Union address and made an appeal in his ongoing effort to deliver on a campaign promise to build a border wall. Crime data do not support the president’s claim either that El Paso was one of the country’s “most dangerous cities” or that the barrier built between El Paso and Juarez, Mexico, had the effect of dramatically reducing crime on the U.S. side of the border. Instead, UCR data show that violent crime in El Paso generally followed a national trend. It spiked to its highest level in 30 years in the early 1990s and has steadily declined since. 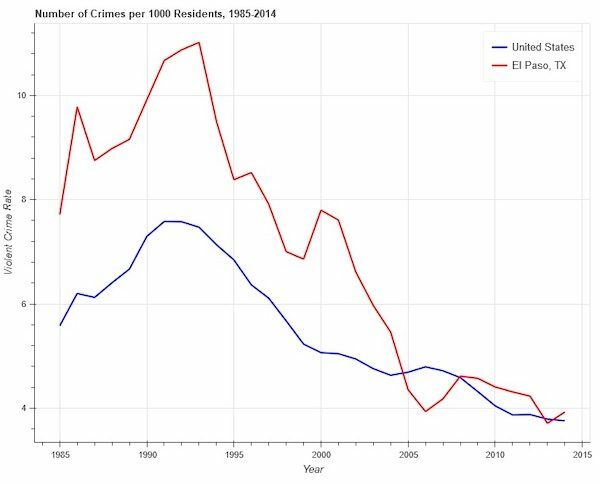 The following graph compares crime data from the El Paso Police Department with nationwide figures from 1985 to 2015. In that 30-year time frame, El Paso was never one of the “most dangerous cities” in the United States. When compared to cities with similarly-sized populations, El Paso’s violent crime rate consistently fell well below locales such as Boston, Baltimore, Detroit, and Memphis, according to UCR data (which can be found online). In 2018, US News & World Report ranked El Paso number 11 in “best places to retire,” citing in part the community’s relative safety and thriving economy. This ranking was not new, as El Paso had regularly been ranked one of the country’s safest cities for its population size going as far back as 2005 — three years before the border fence there was built. During the fence construction and in the years immediately afterward (2008 to 2012), violent crime incidents rose very slightly. El Paso’s violent crime was at its peak in 1992. What did make a difference was a flood of Border Patrol agents, who began Operation Hold the Line in 1993. Hundreds of agents were stationed every few feet along the border. Violent crime in El Paso drastically reduced in the years following. “We’ve played a big part of that,” said Border Patrol Sector Chief Aaron Hull. We can’t determine whether crime in El Paso fell as a result of increased Border Patrol presence, the dynamic that caused crime to drop nationwide, or some combination of both. But what can be determined from crime data is that over the previous three decades, border wall construction hadn’t shown a positive impact on reducing violent crime in that community, and El Paso was far and away not one of the most dangerous cities in America. She linked to an opinion piece published in the New York Post that was titled “This town is proof that Trump’s wall can work.” The piece, written by a conservative political commentator based in Washington, D.C., argued that El Paso’s border fence is the reason for the city’s low crime rate and decreased illegal border crossings. 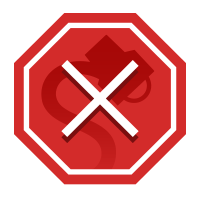 At the time, local leaders rejected the article’s findings and argued that it did not mention the police-community relations and cooperation between law enforcement agencies that contributed to the city’s safety before border fencing was put in place. On the 2016 campaign trail, Donald Trump promised supporters that if elected, he would build a border wall that Mexico would pay for. As time went by and it became clear Mexico would not finance the construction of such a wall, Trump waffled on how it would be funded, resulting in the longest partial shutdown of the federal government in U.S. history when he and Congressional Democrats reached an impasse over the issue. El Paso Times. 5 February 2019. El Paso Times. 10 January 2019.